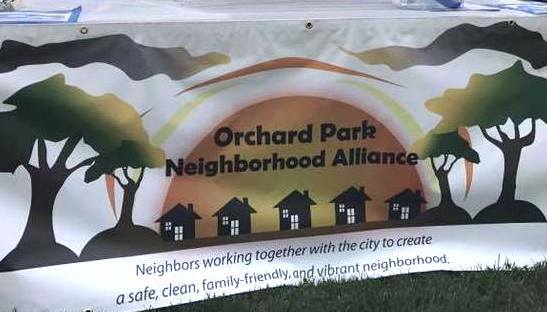 Neighbors who live between Oakdale and Roselle, and between Floyd and Briggsmore, live within the Orchard Park Neighborhood Alliance boundaries. They may be one of almost 130 neighbors in Mike Casares’ Facebook group, Orchard Park Neighborhood, started up December of 2013, or almost 530 neighbors connected to Orchard Park Alliance’s Facebook page, born September of 2014, or almost 800 neighbors connected on Nextdoor.com, created in April of 2014. Nextdoor features include Urgent Alerts, categories, nearby neighborhoods, address verification, and more, but many neighbors aren’t online at all. 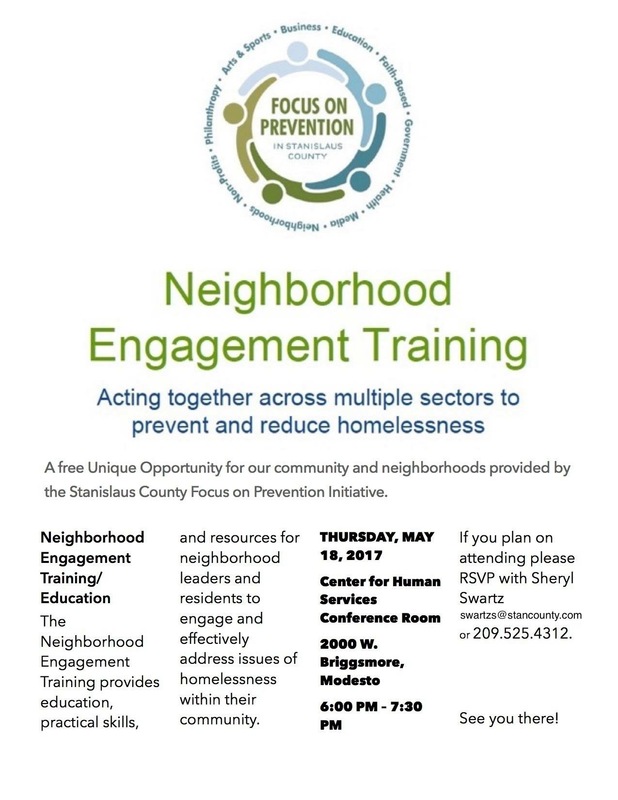 All neighbors received one of roughly 3,000 surveys we sent out in July of 2015, after we joined under Modesto Neighborhoods, Inc’s nonprofit umbrella. That mailer was generously printed by the Modesto Police Department, and St. Joseph’s donated the postage. We are still receiving survey submissions via our Google Form linked in the Welcome Packet pinned to the top of our Facebook page–have you added your voice? Our first in-person meeting with MPD was in Orchard Park on June 24, 2014, and several gatherings have followed, but we now hold monthly steering committee meetings every third Wednesday at 7pm, usually at St Joseph’s offices. Email OrchardParkModesto@gmail.com to RSVP or add an item to the agenda. 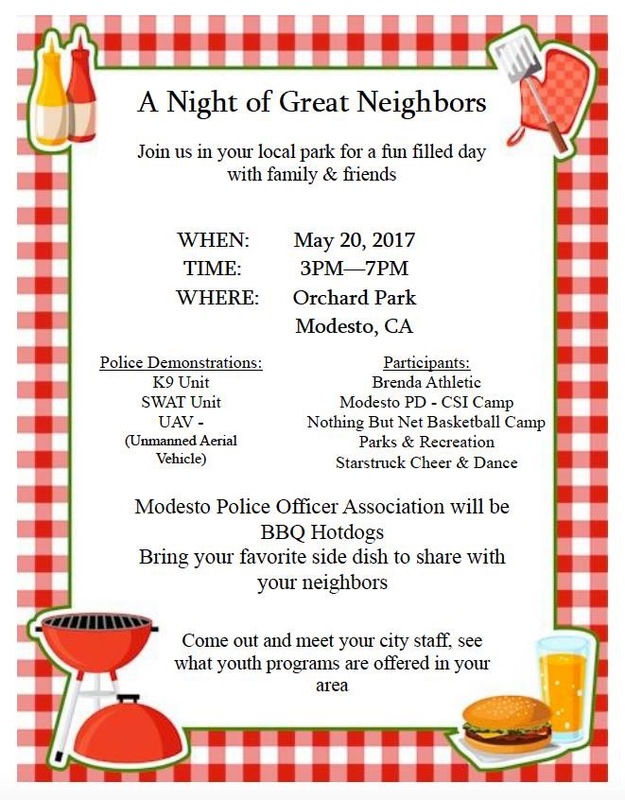 We presented at Modesto Police Department’s Town Hall in April of 2015, and continue to attend MPD events like Town Halls, Coffee with the Cops, and a Standing with You event organized to appreciate law enforcement in May of 2016. We look forward to meeting you at MPD’s A Night of Great Neighbors coming up on May 20, 2017 in Orchard Park. We requested the MPD Armadillo be placed in Orchard Park for June of 2015, July of 2016, and January of 2017 to discourage crime (‘15) and deter illegal fireworks (‘16-’17). We will continue to request it every Independence Day and New Year’s Eve as much as it is available, as it has been very effective as a deterrent in the past. All are welcome to have a rest on our new park bench placed in early February by the middle walkway overlooking Orchard Park’s soccer field. St. Jo’s generously donated the funds for that, too, and it was placed there not by a crane (due to heavy rains), but muscled there by a crew of hard-working Parks & Rec employees. Its dedication medallions thanking St Jo’s for their donation features Orchard Park Alliance’s logo designed by our treasurer Otto Werner’s son, Jesse, in May of 2015. 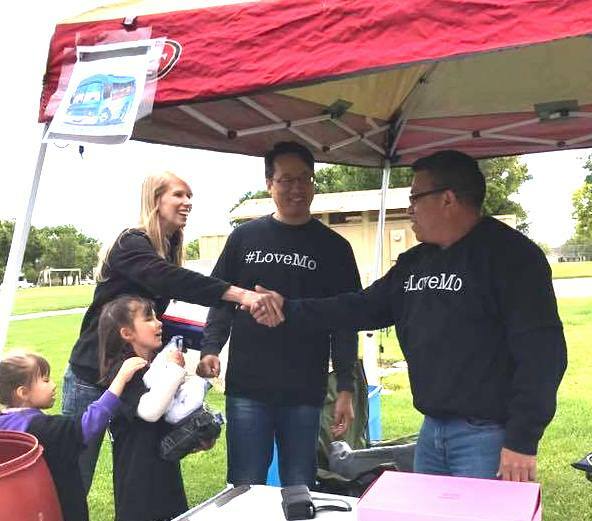 For our first Love Modesto in the park in April of 2015, we weeded, sanitized, picked up garbage, replaced basketball hoops, pruned, and removed tagging. We did the same project in 2016, and a different project in the park this year raising funds for the Cleansing Hope Shower Shuttle and Feed Modesto. Did you donate? Never too late! 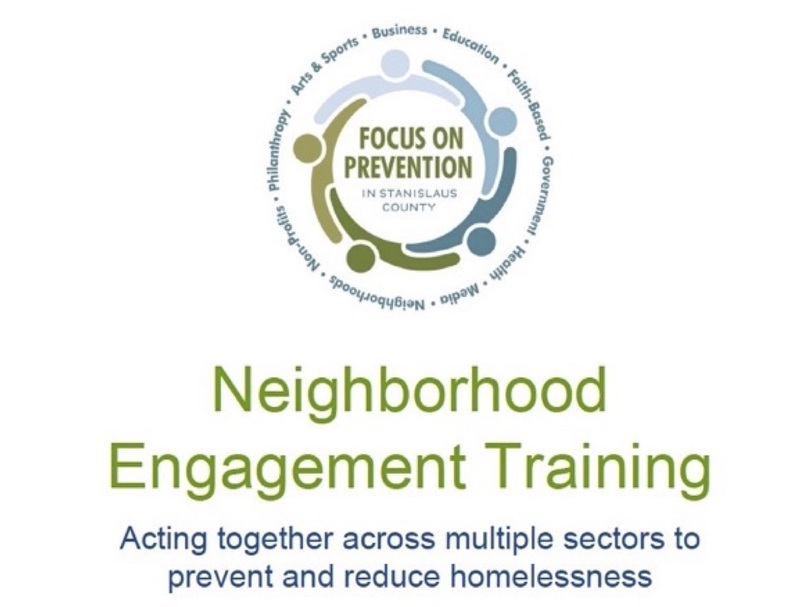 Not all of our neighbors have homes, therefore Neighborhood Homelessness Engagement Training has been a focus since April of 2016, when the training was in its pilot stage of development. 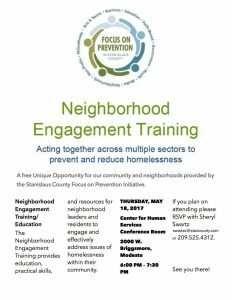 We look forward to the next training hosted by Focus on Prevention on May 18, 2017. Several of us of, at all levels of ability, sang together for Christmas Caroling in 2015 and 2016, organized by neighbors Cathy Schloss and the Bartletts. Hopefully we will get together for that for years to come. So fun!